Being a kid is not responsibility but it is a time for continuous learning and education. Children should be given every possible solutions and opportunity for their education. Educational games and activities can keep the kids busy and active with it. Gameiva brings the best educational games with the animations and images which the kids will love playing. Let’s have a look at some of the best kid’s game by Gameiva which the children will surely love. Help your kids to learn some preschool activities like shape & colors with this awesome game Preschool Shape & Color for Kids. Drag the given different shapes on the right place and match all the animals to finish. Select the correct Color and fill in the picture. Drag the given toy parts onto the shape and join the toys. It’s the funniest way for toddlers learn shapes and colors before going to school. 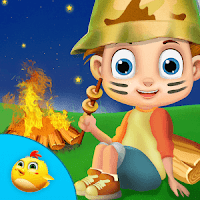 Play many different games with friends, play with any toys of your choice, do camp fire with friends and also create your own driving license with your image in it and save it to gallery. There are so many games to play along with so many different activities. Find yours and your friend’s hidden toys in a messy room. Fire a campfire and then cook your favorite food and also look out that it is not over burnt. Stay away from the insects all the time. Play different games like dart game, catching the butterflies, firing the camp aiming and shooting the discs etc. go for a daring joyride on a fast boat where you have to look out for the stones and stay away from it. Play the dart game and shooting the disc game to check your aiming. There are included different funny & interesting activities which helps them to remember different letters very easily. Different activities to learn letters & arrange letters at their place. 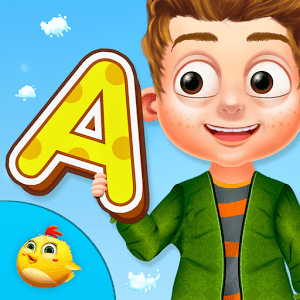 Complete all the different activities to learn new letters and spellings. 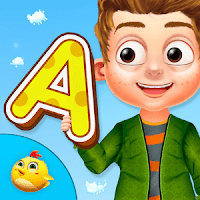 Learn the alphabets in a total funny and entertaining way. Play various kinds of games and complete innumerable different fun and entertaining tasks which are guaranteed to help the kids with lot of new innovative ideas and learning. Lot of different games and tasks with many levels and activities. Activities like alphabet game, number game, drawing, puzzle game and so much more are included. All the activities are fun filled and entertaining which will make the kid active and busy with it. Complete each tasks and go to the next level for another task of a particular game. 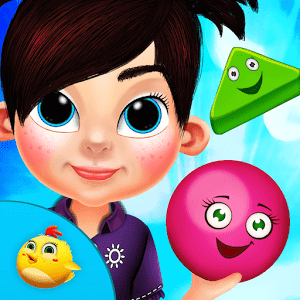 These games are made keeping in mind all the things that a kid imagines because of which a lot of kids around the world are loving these games. 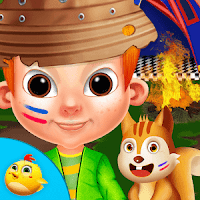 We are entirely devoted to build user friendly games related to fun and learning for better educational familiarities and enjoyment for kids. 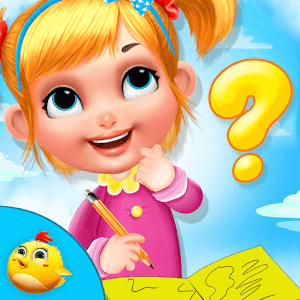 Stay with us for the latest updates of GameIva on Google play and get more of educational games. Also visit our YouTube channel.